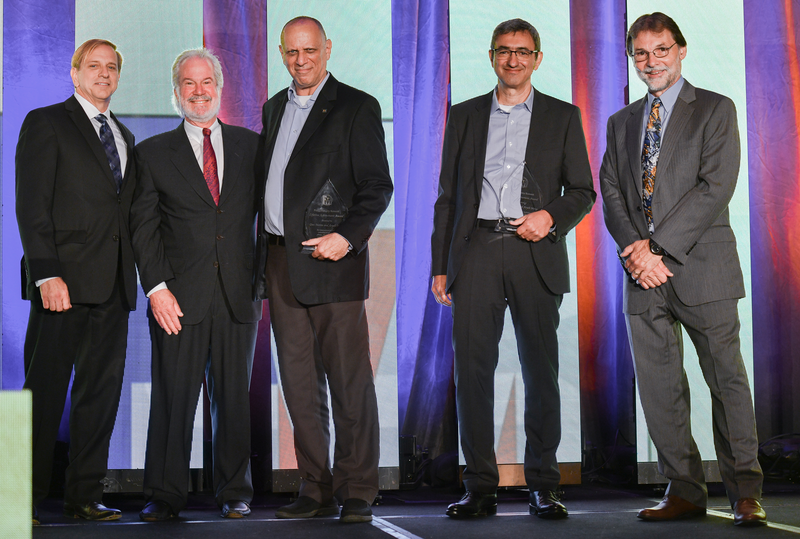 Dov Moran and Aryeh Mergi are recognized as the 2018 Flash Memory Summit (FMS) Lifetime Achievement Award (LAA) winners "for innovations including embedded flash for cell phones, flash file systems, and the USB flash drive." With inspiration from Intel's first flash products in 1988, Dov and Aryeh co-founded M-Systems in Israel in 1989 with the vision of building devices based on flash memory. Dov was CEO, and Aryeh was CTO and later also ran Marketing and Business Development. Dov's numerous inventions at M-Systems include the 1993 DiskOnChip, whose design was adopted by Nokia for embedded flash in its cell phones. He also invented the 1999 DiskOnKey USB Flash Drive, a device whose design remains hugely popular today. Aryeh was the key driver in promoting TrueFFS, a Flash Translation Layer architecture that was adopted by Microsoft for an early flash file system. He also led the design effort for the Mobile DiskOnChip project for Nokia, and this product became the first embedded NAND SSD used in a cell phone. M-Systems introduced numerous other innovative products under the leadership of Dov and Aryeh, including flash-based SIM cards, smart USB drives, encrypted USB drives, very early 4-bit/cell NAND flash (now called QLC), and the software required to support flash in standard operating systems. They are both named inventors of numerous patents. SanDisk purchased the company in 2006, and Western Digital purchased SanDisk in 2016. Dov Moran and Aryeh Mergi co-founded M-Systems in Israel on January 1, 1989 with the vision to build storage products based on flash memory. This was shortly after Intel's introduction of NOR flash products just months earlier by a team that received the first FMS LAA in 2011. Dov was CEO, and Aryeh was CTO and later also ran Marketing and Business Development. Prior to founding the company, Dov and Aryeh had worked together and built SSDs based on EEPROMs and battery-backed SRAM. When the first flash product was introduced by Intel, they saw the potential of the technology while realizing its limitations. They understood that providing working products based on flash could bring significant value, and that is what drove them to establish M-Systems. Based on custom hardware and software, early flash products included SCSI SSDs in 3.5" and other form factors. Amir Friedman joined the company to help manage activities in Israel. In 1991, the company was approached with a problem involving Fujitsu Pen computers that used proprietary memory cards with battery-backed SRAM, and which suffered data loss due to battery issues. They developed a flash-based solution that included new software to efficiently manage the flash for data storage, and Amir Ban was added to the team to develop what became the TrueFFS Flash File System. TrueFFS implemented full disk emulation while delivering high performance, and included wear leveling, garbage collection, bad media management and more, while delivering consistent performance. In 1993, the PCMCIA PC Card committee decided to standardize a flash file system format. M-Systems proposed its TrueFFS data format in an effort led by Aryeh Mergi. Competing formats included FFS2 from Microsoft and Intel. The committee selected TrueFFS in 1994, naming it FTL (for Flash Translation Layer). In 1993, Dov Moran invented the concept of using the BIOS socket of a PC for an embedded SSD. Called DiskOnChip, the first devices included 1MB of NOR flash and full BIOS emulation. These achieved significant success, and a series of products became the de-facto standard for non-volatile storage in embedded applications for over 10 years. In 1994, NAND Flash started showing production viability, and M-Systems decided to switch to NAND for its entire product line. Most of the companies in the flash market did not switch for another five years or more, but the early switch by M-Systems demonstrated its recognition of NAND's superiority over NOR for data storage in flash. A new version of TrueFFS was designed that added NAND support, and the NAND-based DiskOnChip2000 was introduced in 1995. In 1998, Dov Moran came up with the idea of the USB Flash Drive (UFD), and a patent was filed in 1999. In 2000, the company introduced its UFD, which was branded as DiskOnKey. Its device was also sold by IBM, and IBM and M-Systems issued a joint Press Release at the COMDEX trade show in November 2000. The UFD ended up making the floppy disk obsolete, and UFDs remain hugely popular to this day. M-Systems created numerous UFD improvements over the years, including the U3 application platform (developed with SanDisk and Microsoft) and encrypted UFDs. In 2000, Dov and Aryeh identified cell phones as the next killer app for flash-based data storage. Annual sales were already over 400 million units, but these devices used only NOR flash, and this was only for code storage. Data was stored in battery-backed SRAM, and hence was limited to a small contact list, a few text messages, and pictures at low resolution. 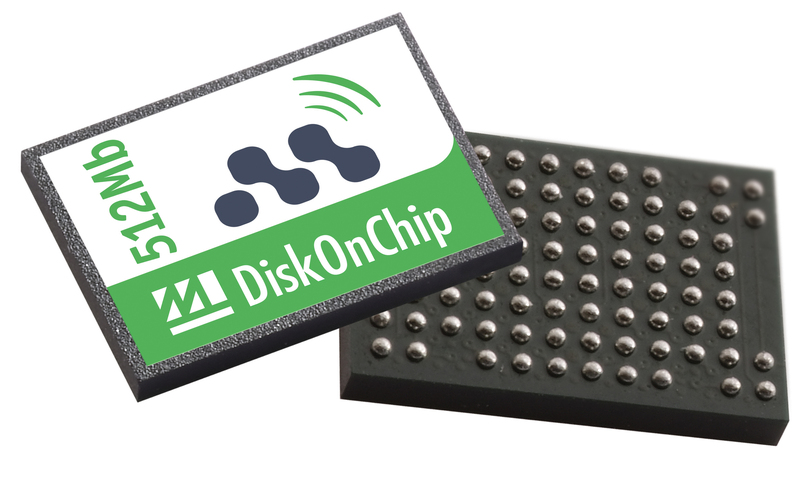 In response, M-Systems launched their Mobile DiskOnChip design project with their partner Nokia (then the world's largest cell phone manufacturer). In 2002, Nokia shipped a cell phone whose only flash was an 8MB NAND-based Mobile DiskOnChip, and this was the first embedded SSD in a cell phone. Three generations of the Mobile DiskOnChip family were developed, and the chip was used by most of the large cell phone manufacturers. Today, NAND flash is an essential component in all cell phones, with data storage being its most important usage. In 2002, Aryeh had the idea that with more advanced error correction coding, 4 bit/cell flash could be achieved. Dov initiated a multi-year design effort to accomplish this goal. Advanced error detection and correction coding techniques were developed by taking advantage of the nature of typical errors. The first products based on this technology were introduced in 2006 under the name X4, and X4 was awarded the Most Innovative Flash Product at the first Flash Memory Summit in 2006. In 2006, when it was close to $1B in annual revenue, M-Systems was acquired by SanDisk for $1.6B. SanDisk expanded the sales of M-Systems products, with continued emphasis on embedded systems and sales to OEMs. Western Digital purchased SanDisk in 2016, and they continue to maintain a major R&D center in Israel. After leaving SanDisk, Dov Moran founded a few other companies, and was named Chairman of Tower Semiconductor. Today he is the Managing Partner of Grove Ventures, a Venture Capital fund focusing on early stage deep technology ventures. 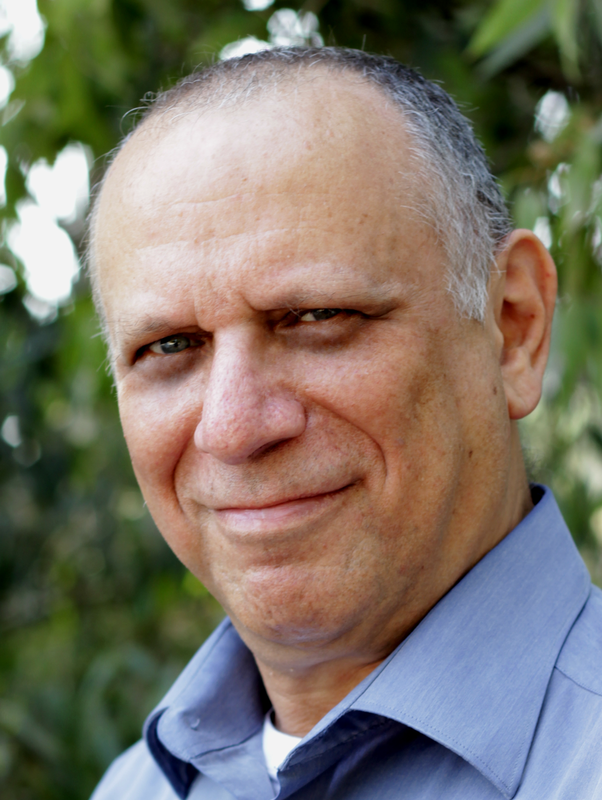 He was awarded an Honorary Doctorate at Technion-Israel Institute of Technology, and his awards include the prestigious Eduard Rhein Award (2012, "for the invention of a standardized portable data storage stick") and the IEEE Reynold B. Johnson Information Storage Systems Award (2015: "for pioneering contributions to storage systems based on flash memory"). Following the acquisition of M-Systems, Aryeh Mergi co-founded XtremIO, a pioneer in the All Flash Array (AFA) market. XtremIO was acquired by EMC in 2012, and its product became a leader in the AFA category with multi-billion dollar revenues. The company is now known as Dell EMC XtremIO, and is Dell EMC's high-volume, high-capacity all-flash enterprise storage platform. Aryeh is the co-founder and Chairman of Pliops, which is developing a new NAND Storage Processor technology enabling the next generation of cloud and data center applications. 2011 LAA recipients Richard Pashley and Niles Kynett from Intel's early Flash Memory Team: “Congratulations to Dov and Aryeh, who as early flash pioneers were instrumental in the invention and commercialization of the USB flash drive." 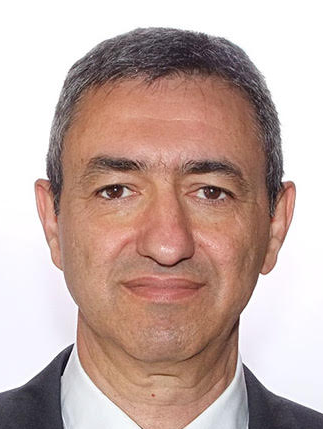 2012 LAA recipeint and SanDisk founder Eli Harari: "Dov and Aryeh pioneered and made history with a succession of ground-breaking flash memory products, early QLC technology, and very early use of NAND in place of NOR. This recognition is timely and very well deserved." 2013 LAA recipient Fujio Masuoka, who conceived of flash memory in 1984: "I sincerely congratulate Dov Moran and Aryeh Mergi." 2015 LAA recipient Bob Norman, key System Architect of System-Flash in 1989: "I had several meetings with Dov and others from M-Systems in the early days. They carved out a nice business by creating a continual progression of innovative products."